The “Phaser” is an analog, hand-build, highly versatile modulation effect pedal and one of the finest studio quality phaser pedals in existence. It`s a script logo phaser on steroids! Same legendary sound, very, very lush but with more controls and low noise! In a minute the famous “4-stage phase swirl” can be adjusted but also “Univibe” or “Leslie” like tones can be easily tweaked. 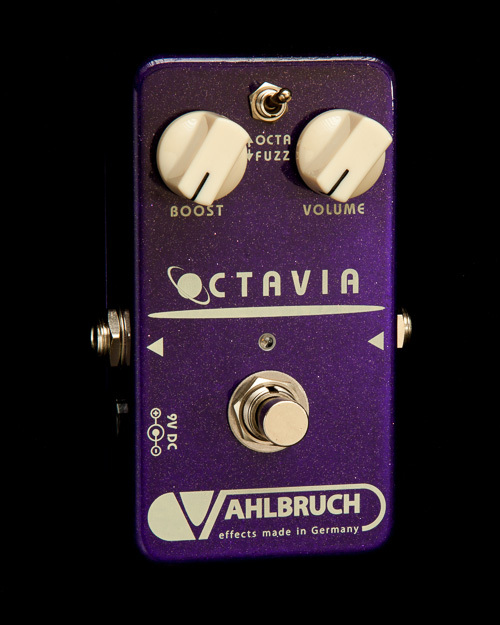 It`s a very transparent pedal with an organic tone you will love. 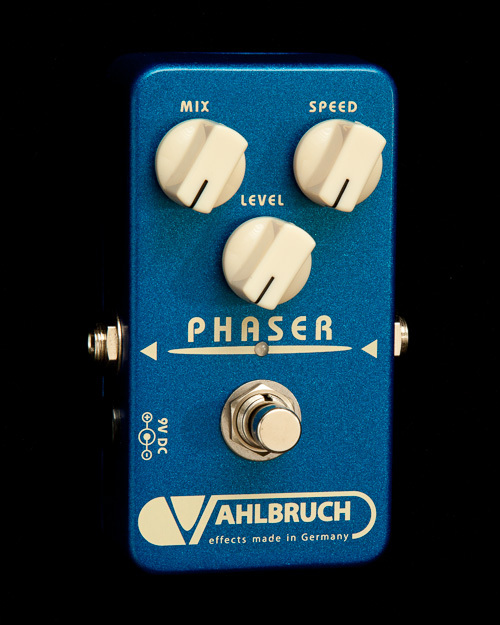 Compared to vintage units the Vahlbruch “Phaser” has plenty of useful controls. The “Speed” and “Depth” knobs offer a huge variety of different phasing sounds. A constantly flashing LED indicates the modulation rate. The pedal output level can be adjusted using the “Volume” control. For an especially deep and homogenous modulation curve only handselected new-old-stock (NOS) transistors are used for phase shifting! 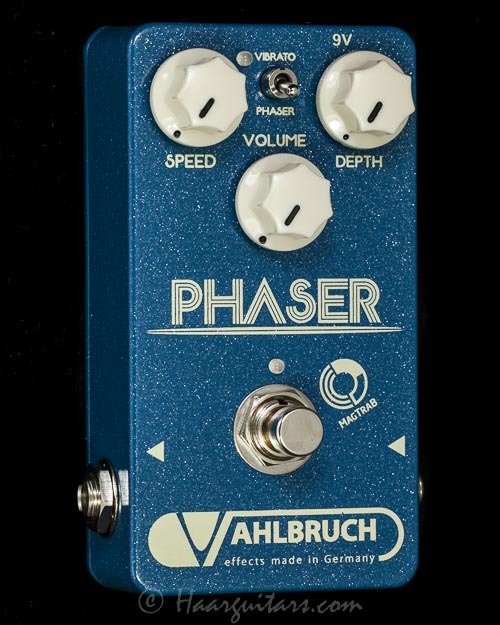 A toggle switch allows either “Phaser” or “Vibrato” (kill dry) mode. Kill dry can be particulary interesting for the use in parallel effect loops or stereo setups, where the phaser is used in only one of the stereo channels. MapTraB buttons are as good as indestructible! “MagTraB” delivers an almost infinite number of switching cycles – many, many millions! No annoying, mechanical switch clicks! Instead, the “MagTraB” push-buttons switch very smooth and silently! You can choose if the pedal powers up in “on” or “bypass” state. Step 2: Hold down on/off “MagTraB” button. Step 4: Release on/off “MagTraB”” button.